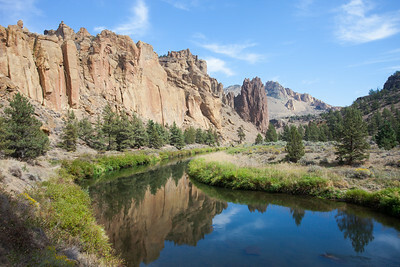 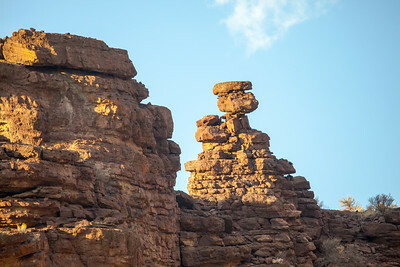 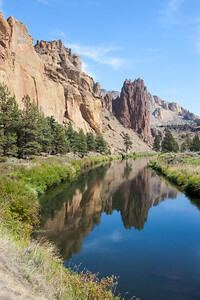 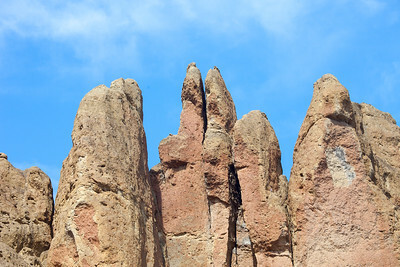 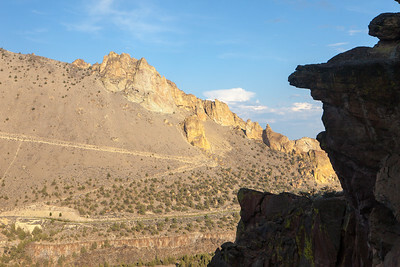 The Smith Rock Palisade towers above the Crooked River, reflected in the golden light of sunset. 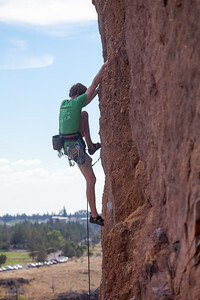 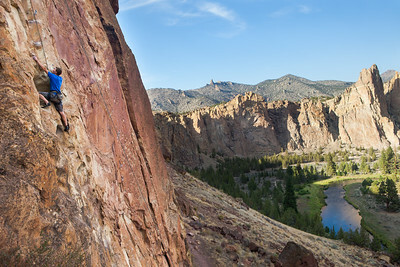 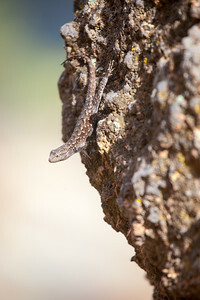 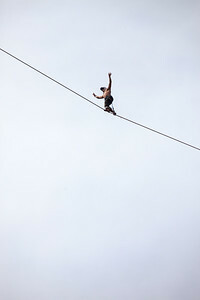 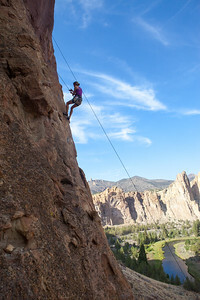 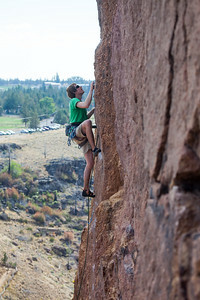 A climber slacklines across a highline gap in Smith Rock State Park, Oregon. 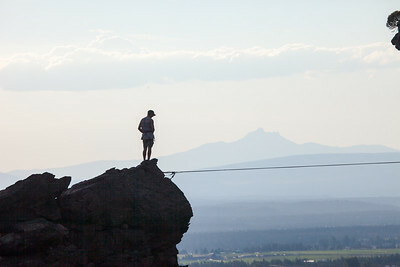 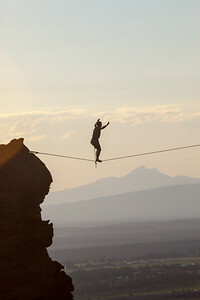 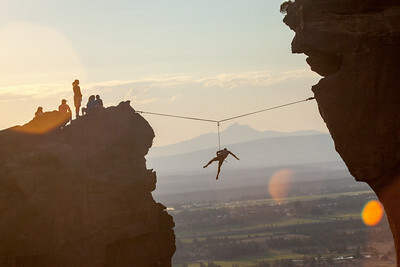 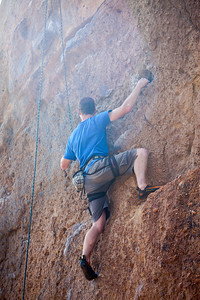 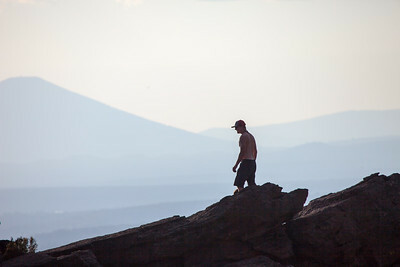 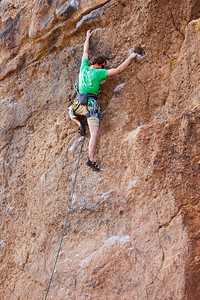 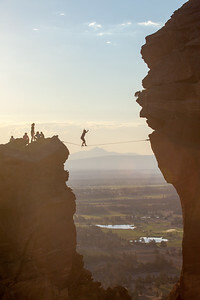 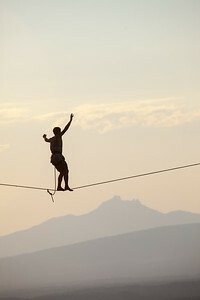 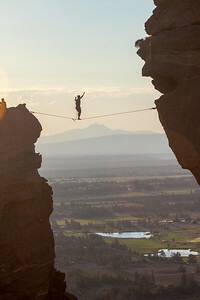 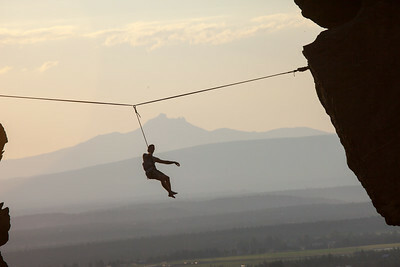 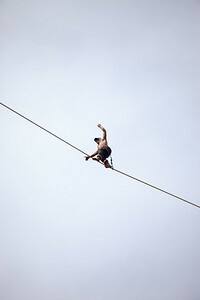 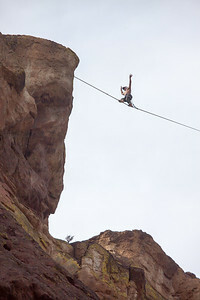 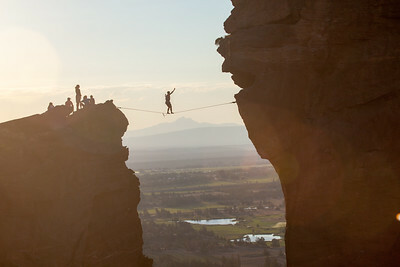 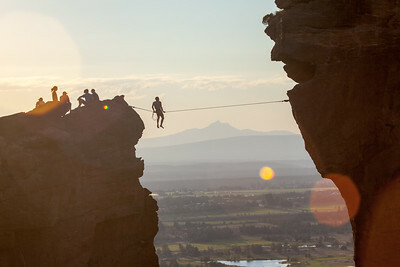 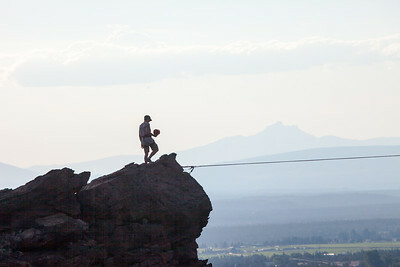 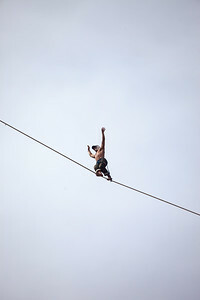 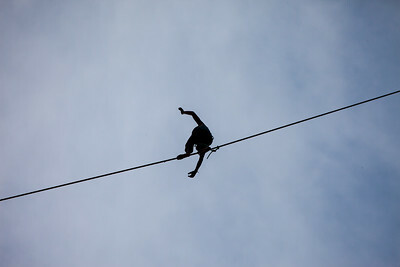 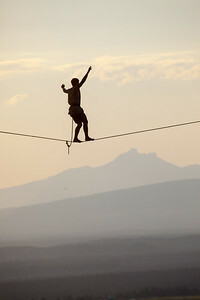 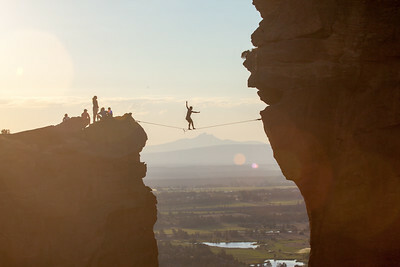 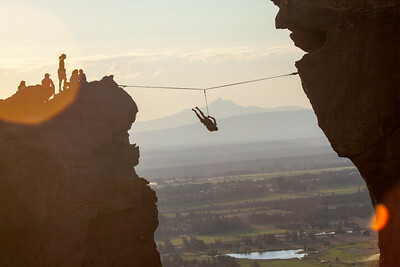 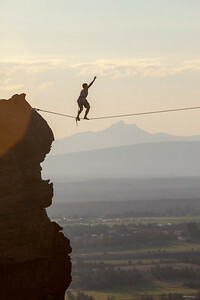 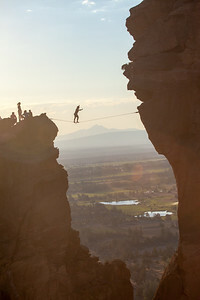 A climber slacklines across the highline gap between Monkey Face and Misery Ridge in Smith Rock State Park, Oregon. 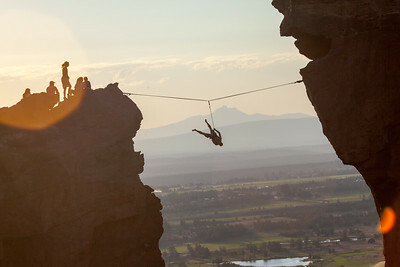 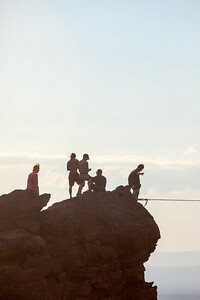 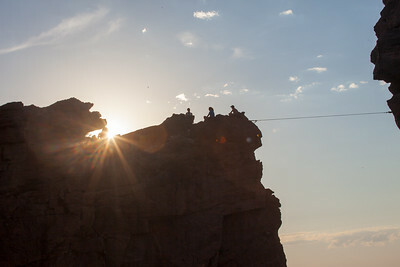 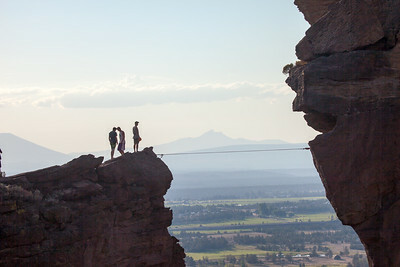 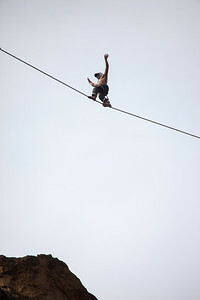 A climber falls while slacklining across the highline gap between Monkey Face and Misery Ridge in Smith Rock State Park, Oregon.